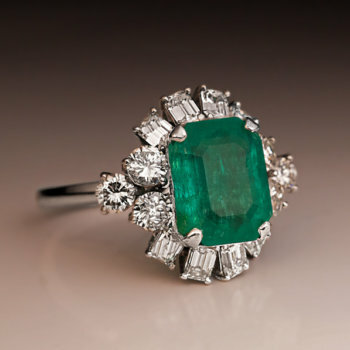 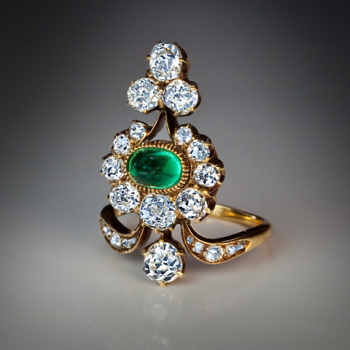 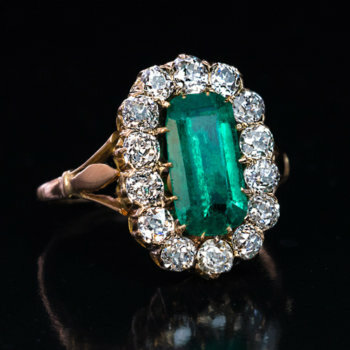 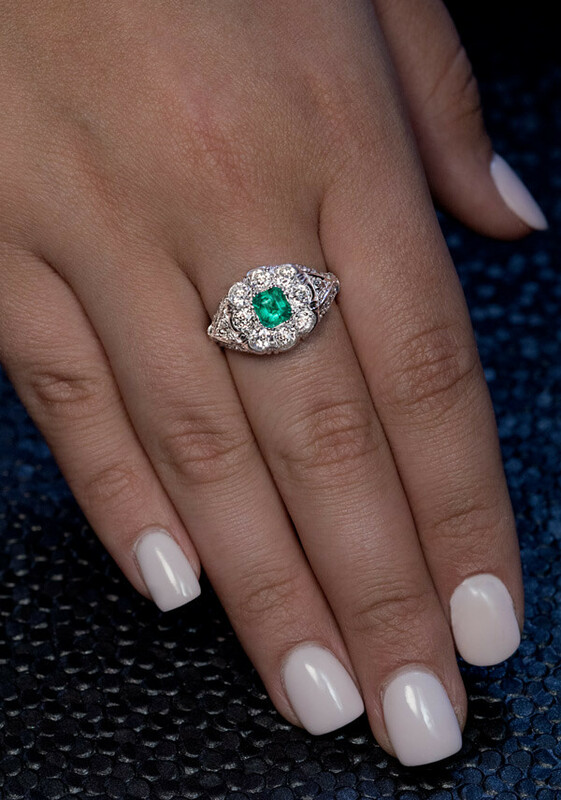 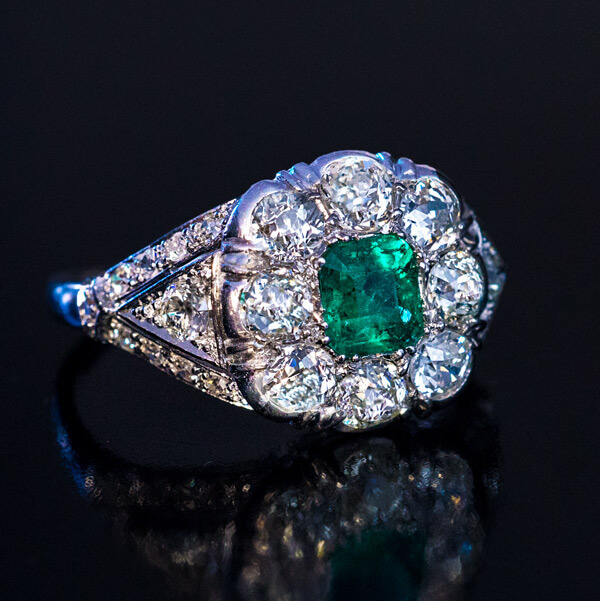 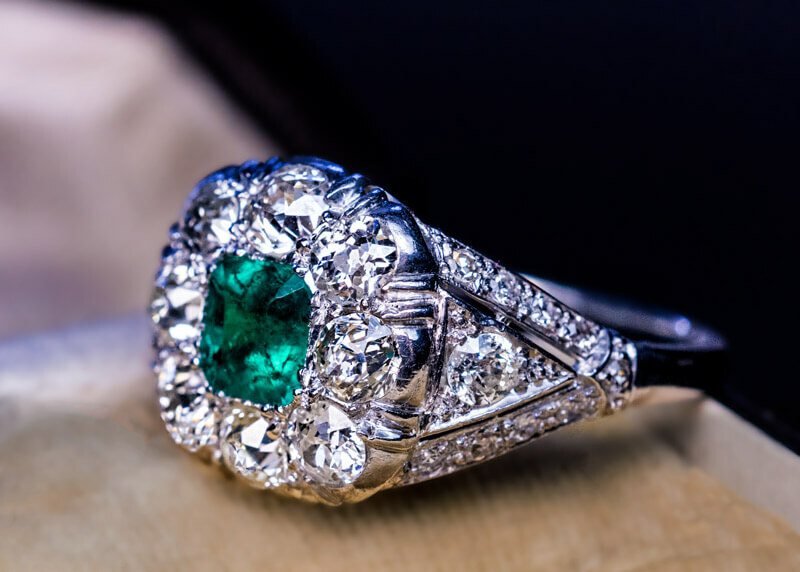 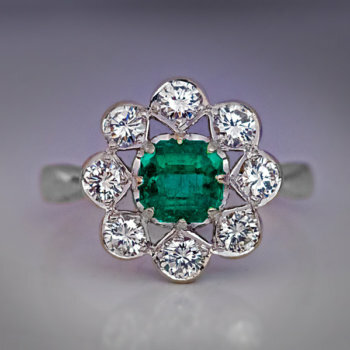 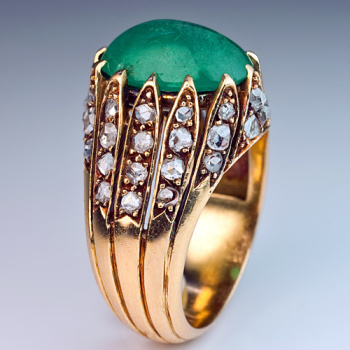 A vintage platinum ring is centered with an emerald-cut emerald of a vivid bluish green color (5.63 x 5.14 x 3.55 mm, approximately 0.75 ct) framed by seven bright white (F-G-H color, SI clarity) old European cut diamonds. 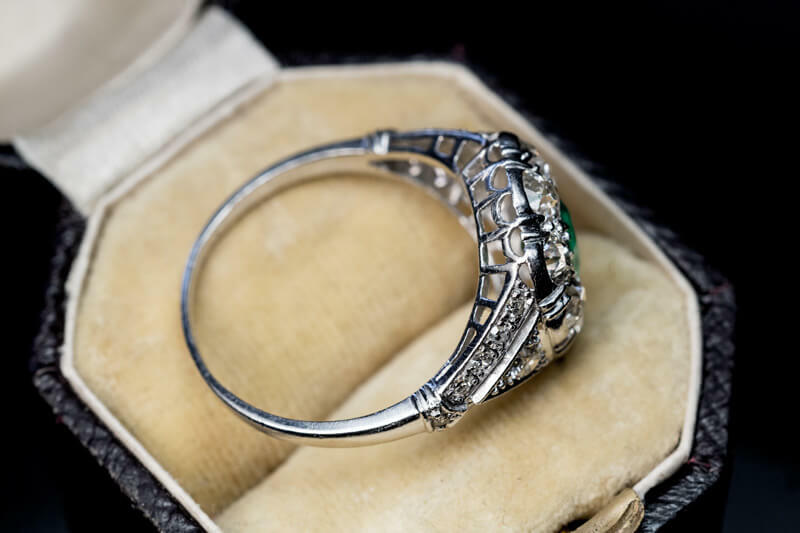 The triangular shaped shoulders are embellished with old mine and single cut diamonds. 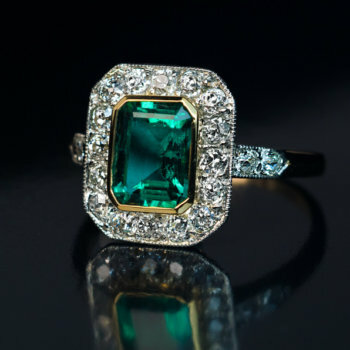 Estimated total diamond weight is 2 carats.